hd00:14Ripe red fresh cherry hanging in tree branch in natural garden setting, close up handheld panning. 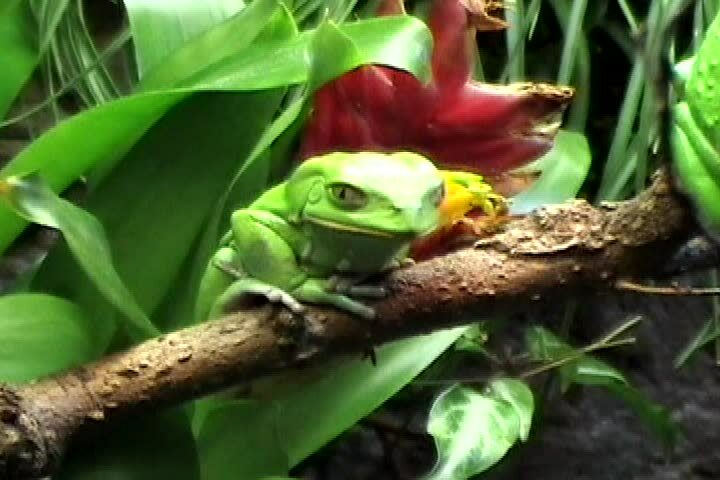 sd00:07A bright green frog rests in a forest. hd00:15European tree frog trying to catch a fly with his tongue. hd00:05The sauce pours on a green leaf of lettuce that lies on the Burger.